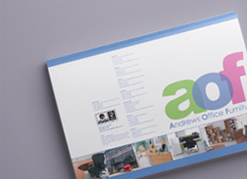 Welcome to the absolutely brand new Andrews Office Furniture website! Our web team have been diligently working and tinkering away in the background to completely revamp & modernise our website to make your search for new & second hand office furniture a clearer, smoother and more intuitive experience. 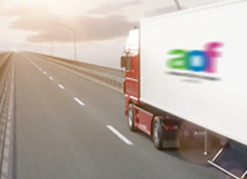 So take a look at this week's blog post and see what you'll find across the shiny new AOF website! Across our new website, along with the usual varied selection of office chairs, office desks, multi-user bench desks and next day office furniture, you'll find a whole host of new features to get you where you want to go. If you know which space you need to furnish, no problem, as we have a brand new 'Shop by Room' category for you to use. From general office furniture and home office items, to reception and meeting furniture, you'll be able to click straight through to what you need! Also, within our second hand category, where you can source your used furniture from the ranges of second hand office chairs, office desks, storage, boardroom tables and visitor chairs, you'll find our latest second hand designer chairs, with chair models from the likes of Orangebox, Vitra, Humanscale, Vitra or Interstuhl for a fraction of their normal prices! For those of you searching for the famous Aeron Chairs, never fear, as we still have plenty of second hand Herman Miller chairs available for bargain prices. For all of your storage needs, we've tidied up & streamlined all of our products here to make things simpler for you to get your office organised effectively. You'll find an eclectic selection of wooden office cupboards, wooden bookcases, under desk storage pedestals, grey office storage units or, for more neutral office environments, our range of sleek white office storage. As an official Bisley dealer, we still have their useful ranges of steel storage & filing, including the latest Essentials storage, AOC Filing Cabinets, Stationery Cupboards, Note Pedestals and the ever-popular Multi-Drawer Cabinets for your desktop storage needs. Our numerous ergonomic office chairs, 24 hour office chairs and sit-stand height adjustable office desks provide plenty of furniture solutions for the health-conscious buyer, along with our stock of Bestuhl office chairs to keep you comfortable at your desk, with an ample amount of adjustments to adapt to your specific working requirements. There will also be plenty of you who simply cannot wait around for your furniture. Our next day office furniture will help in this regard, with next working day delivery across London & the M25 area available if you order by 2pm. Our small in-house delivery/installation team will get your next day bench desks, office chairs, wooden cupboards, filing cabinets, Bisley units, conference tables or white office storage over to your location in no time at all to get you up & running quickly. We even offer a FREE office space planning service if you need to refresh your current work space or organise a completely new one, organised efficiently by the experienced AOF team in just two working days from start to finish! After meeting, we'll produce detailed CAD plans of your proposed set up, the delivery & install everything for you. If you're just looking to clear your space, we also offer an office clearance & business relocation service, where we can recycle your old furniture responsibly for you, saving you lots of stress and hassle along the way. We always recommend trying before you buy, especially when selecting your new office chair. Andrews Office Furniture have seven showrooms across London, Essex & Northampton, where you'll find a great selection of new and used office furniture to choose from. You can find each showroom's contact details here, whether you would like to speak with us on the phone, by email or in person. Our experienced, knowledgeable staff will be more than happy to help with any questions you may have or orders you wish to make. Along with our Facebook, Twitter, Pinterest & Google+ pages, through the website we also publish a weekly blog, which is written by our little in-house web team. Featuring all of the latest office furniture information, news, offers and ranges, it's a great way to choose the best furniture for your office space and stay up-to-date with developments in the industry. So, have a look around the new website and see what you can find! We hope you enjoy the new web experience we've created and we've got everything you'll need to create your perfect work space!